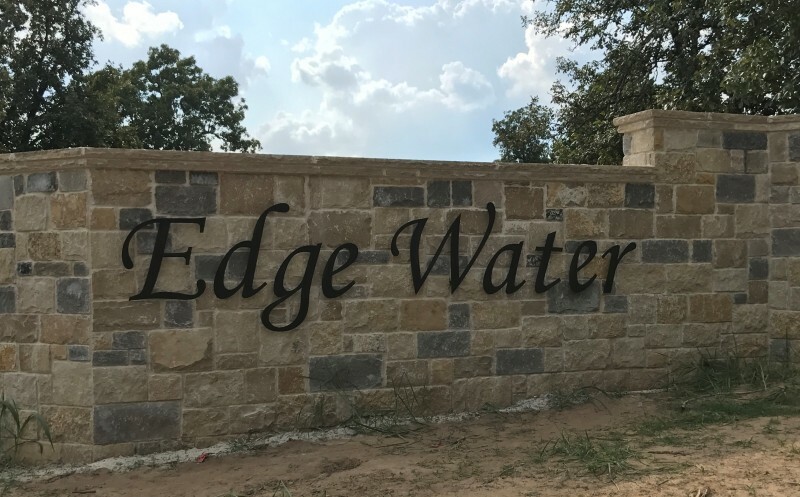 Edge Water at Lake Eufaula is located in Porum Landing. 15 miles south of I40; exit at 4250 Rd (Exit 270). Head south on 4250 Rd (Exit 270) approx. 9 miles. Turn east on Texana Rd. (East 1150 Rd). Cross the bridge and go through Porum Landing recreational area. Continue east on Texana Rd to 4295 Rd. (5 Ash Rd.). Turn south on Black Haw Mountain Rd. 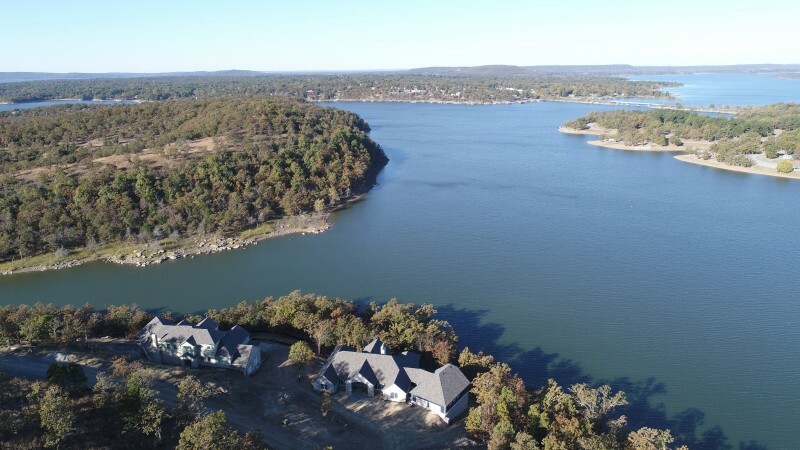 There are 131 total lots platted in Phase I, 60 are currently listed and available. 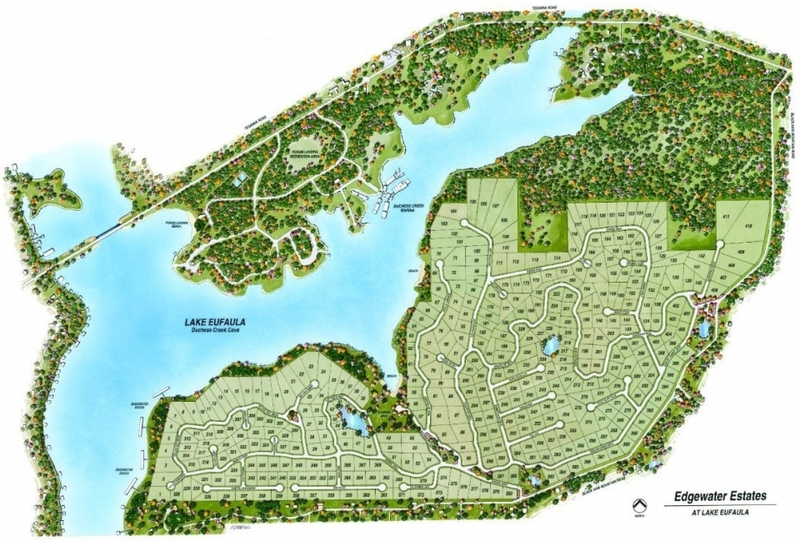 Lots are ready to build with rural water and underground electrical utilities. Duchess Creek Marina boat ramps and café nearby. Porum Landing Fire Department located within 2 miles. 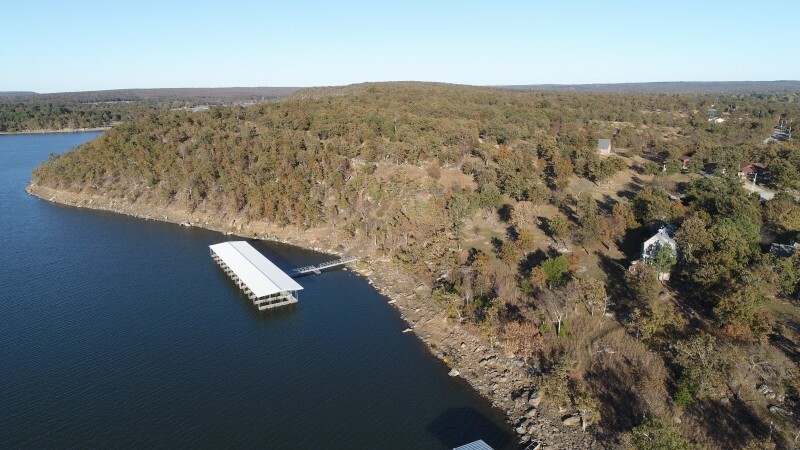 Currently a 12-slip boat dock is in place with room to expand. Architectural diversity is encouraged; From coastal, arts and crafts, modern farmhouse, prairie, traditional and more. Large stone entry with gated electronic entry system.